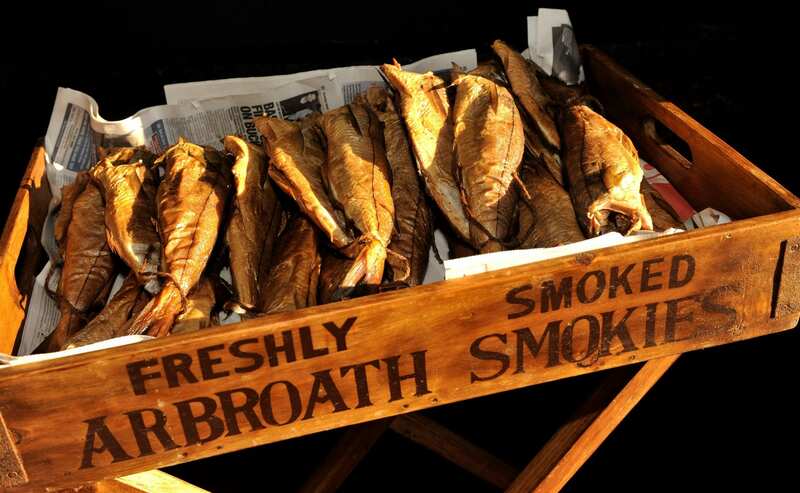 Protected under European Law, perhaps the most famous Angus product is the Arbroath Smokie. The smokie carries the same prestigious status as Parma Ham and Champagne. The origins of the smokie began in the fishing village of Auchmithie, just north of Arbroath. The fishwives smoked the fish on sticks in whisky barrels. In the late 19th century, the fisher people settled in Arbroath with the lure of better housing. Today the Arbroath Smokie is exported all over the world. 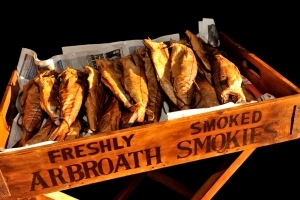 View the Arbroath Smokie Trail, or try out one of our fantastic Arbroath Smokie recipes. For centuries, a special breed of cattle has been bred in the North East of Scotland. 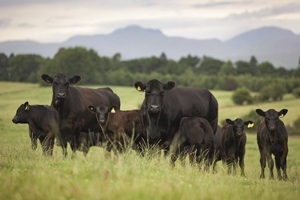 Famed all over the world for its high quality, discover its history and enjoy Aberdeen Angus beef with the Aberdeen Angus trail. 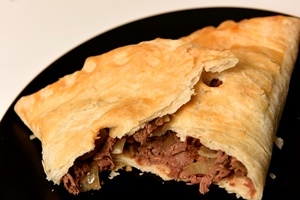 The original comfort food, the Forfar Bridie is a meat and onion pasty not to be missed. Currently seeking protected status, the Bridie has been produced in the historic market town of Forfar since the 19th century. Try the Forfar Bridie for yourself at local bakers Saddlers and McLaren’s. As Scotland’s national drink, no county would be complete without its own whisky distillery. Glencadam in Brechin has been distilling whisky since 1825. Arbikie Highland Estate near Lunan Bay produces rye, gin and premium potato vodka, including a chilli version. 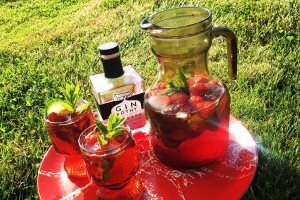 Nestled in the Angus Glens, The Gin Bothy hand craft infused gins using locally sourced ingredients wherever possible. They also produce a range of cider. Ogilvy Spirits produces a vodka using potatoes sourced from nearby fields and also uses the vodka in a range of Perfect Pour cocktails. Carnoustie Distillery started in September 2017, and produce a number of vodka and rum liqueurs distilled in their garden shed, possibly the smallest distillery in the UK. Redcastle Brewery in Carmyllie is a purpose built brewery which started production in 2016 and produce a range of high quality ales in cask and bottle. Redcastle expanded in 2017 and added spirits to their offering with their gin and gin liqueur. In addition to Redcastle, Angus has a further 4 craft ale breweries – MoR Brewing, Park Brew, Strathmore Brewing and Shed 35. They offer a wide range of ales from light IPA’s to dark Porters.